Lock in a great price for Despotiko Hotel – rated 8.6 by recent guests! It was walking distance to Mykonos town and away from the hustle and bustle. Breakfast was better than other Greek hotels, in that it served eggs and bacon or sausage. Staff was great. The location of the hotel is great. Just a 3 min walk to town. Rooms are decent , you can not compare to the big hotels in major cities. Comfortable rooms, friendly staff - Especially George . Excellent location just few steps from Mykonos old town , cute pool area ,friendly stuff , great value. 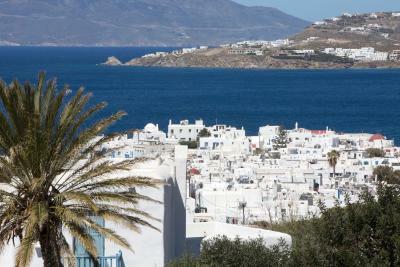 The hotel is only few minutes away from Mykonos downtown which saves you the trouble of chasing taxis. The location, staff and services was 5*****. With the swimming pool facilities, restaurants and bars near by makes it a perfect deal. I would definitely recommend. The location was close to town. I’ll give them that. But these animals refuse to help you with bags or even with a one minute walk to another spot. Unbelievable. WARM FRIENDLY GREEK WELCOME ..HELPFUL STAFF...PROVIDED US WITH UMBRELLA AND PLUG. LOVELY BREAKFAST.. GOOD CHOICE OF EVERYTHING. EXCELLENT VIEWS..VERY CLEAN EVERYWHERE. The staff couldn’t have been more helpful, the room with its little balcony was gorgeous and had all the facilities I could need. The pool area was lovely and absolutely lived up to the expectation on the pictures. The breakfast is well worth €10 and the location is fantastic. Service was brilliant from start to finish. Staff were very helpful at all times. Rooms were lovely and clean and comfortable. Lovely pool area with comfy loungers. Great location beside the town , although there is not many paths so road is a little scary ! Despotiko Hotel This rating is a reflection of how the property compares to the industry standard when it comes to price, facilities and services available. It's based on a self-evaluation by the property. Use this rating to help choose your stay! Overlooking the Aegean Sea and the town of Mykonos, Hotel Despotiko features airy rooms with sea, town or pool views. Guests have easy access to Megali Ammos beach. Free WiFi is available in all areas. The boutique hotel Despotiko offers rooms which include flat-screen, satellite TV, radio and air conditioning. 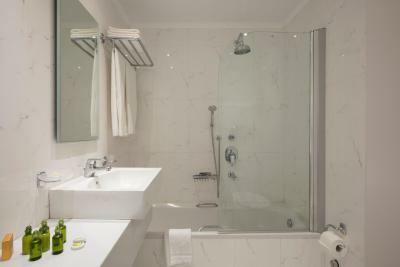 Each bathroom is complete with luxurious toiletries and a hairdryer. Embroidered bathrobes are complimentary upon request. A rich buffet style breakfast is served each morning in the stylish and elegantly furnished 200 year-old breakfast room. Despotiko is only a few minutes’ walk from Little Venice, the famous Mykonos windmills, as well as the main taxi and bus station. The main public parking is 150 feet from the hotel. 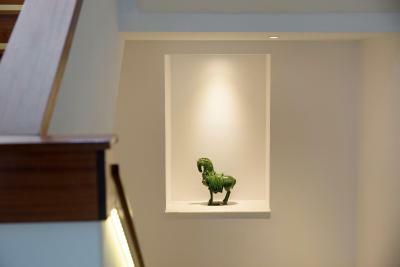 This is our guests' favorite part of Mikonos, according to independent reviews. When would you like to stay at Despotiko Hotel? Simply yet tastefully decorated, this air-conditioned room has a flat-screen, satellite TV and a mini-bar. It features free WiFi and views of the pool or the garden. Please note that the extra bed is a foldaway bed. Offering Aegean Sea views, this air-conditioned room is tastefully decorated and has a flat-screen, satellite TV and a mini-bar. It features free WiFi. House Rules Despotiko Hotel takes special requests – add in the next step! Despotiko Hotel accepts these cards and reserves the right to temporarily hold an amount prior to arrival. Please note that no transportation service is provided. Bathroom flooded with each shower. NO PROVISIONS FOR THE DISABLED. There was nothing I didn’t like - it was brilliant value for money and worth every penny. The price is still a little bit high. You have "to climb" to reach the hotel, but definitely it's worthy! The bed was so comfortable. We had a pretty view from our balcony and I highly recommend this hotel. For sure, I would definitely stay there again. Very comfortable room with nice sea view. Good swimming pool and sunbathing aria. Good breakfast. Matresses on the beds were not comfortable. It felt like I was sleeping on a box spring. The bathtub has a glass divider which only runs half the length of the tub which made showering difficult as water would splash over to rest of the bathroom. It was close to Mykonos town. Only approx. 5min walk down from the hill where the hotel is located. The room we occupied was a two single bed room and came with a balcony that overlooked the pool. The staff was helpful and cleaning ladies were friendly. Being very picky here the room was a little on the small side. Quiet boutique hotel. Perfect for our honeymoon. Beautiful view of the Mediterranean Sea from our balcony. Housekeeping was excellent. Staff very accommodating. We left early one morning for an excursion, and there was no lighting in the hallways, which was a little dangerous. This has nothing to do with the hotel, but: Beware of traffic. One can easily get hit by crazy motorists. You must constantly watch the cars, motorcycles and scooters. It was up the steep hill. Breakfast was average, could have a more extended variety. Very close walking distance to the town. Very clean and staff were very helpful. We even requested for an early check in and they accommodated us.